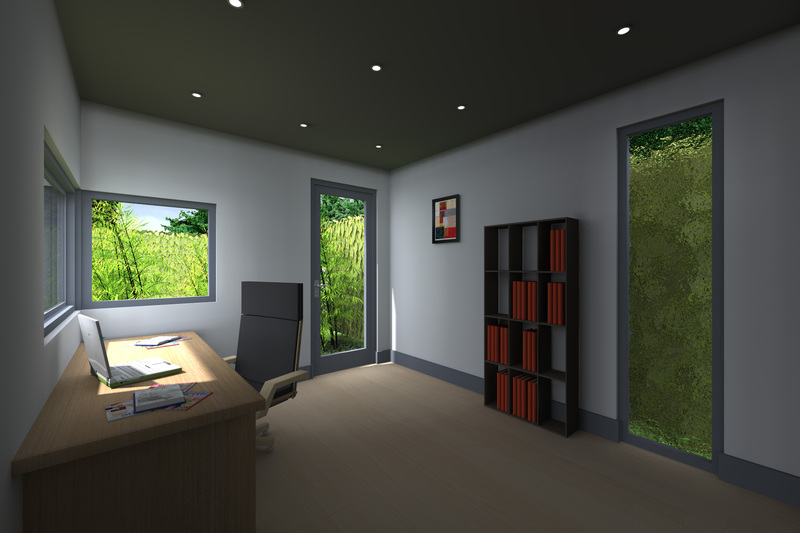 INCREASINGLY, families that need space to accommodate growing children, loud teenagers or a home office are opting for the instant solution - a pre-built room designed and installed in a few days. 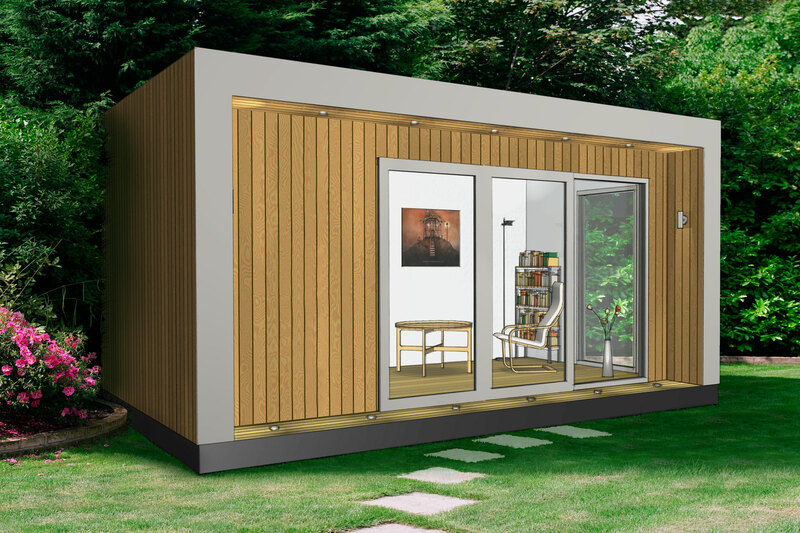 Delivered on the back of a truck, the instant room can be positioned in a back garden and is ready to use in hours, rather than the weeks associated with building a full extension. 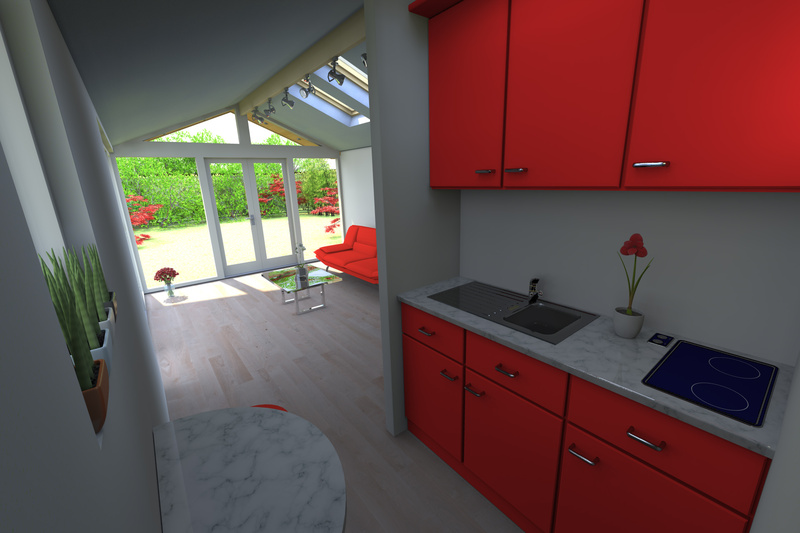 Most significant, though, is the fact that an instant room usually doesn&apos;t require planning permission. "When people think of an instant structure like a Shomera, they tend to think of timber garden sheds but once we explain the quality of the product, they understand. We try to get people out to the showrooms if at all possible to see a shomera up close. After that you don&apos;t really have to sell them, they sell themselves," said Sean Copeland of Shomera, an Irish company that pioneered the instant add-on room. Shomera will supply and finish a full-sized structure that is dry-lined, plastered and finished with wood trim for €17,000, with more complicated projects ranging up to €28,000 or €30,000 depending on customer specification. Everything is supplied down to the light fittings, switches, power points and telephone sockets. "The only thing to do is paint the walls, put down the carpet or wooden floor and connect the electrics up to your house," said Mr Copeland. "Each shomera is designed for the urban garden. It&apos;s Irish-made, it&apos;s guaranteed, and it&apos;s custom designed individually for each customer. We&apos;re not importing log cabins that are going to look out of place in your garden, we design each one to fit its environment," he said. "They&apos;re not obtrusive and they&apos;re not going to upset the neighbours. They are an aesthetically pleasing design, and rather than being an eye sore most people say that actually add to the look of a garden," said Mr Copeland. Shomera was started by Frank O&apos;Sullivan, an engineering consultant with a growing family who originally worked from home. When a new baby arrived in the O&apos;Sullivan household, his box-room office became a nursery and he decided to build himself an office in the garden. However, he did such a good job, that friends and visitors kept asking where he got it. To cut a long story short, he set up Shomera and business has boomed. "Because of Frank&apos;s engineering background, he wasn&apos;t happy with any old makeshift building. He wanted a quality working environment," said Mr Copeland. The roofing materials on the average shomera come with a 20 year guarantee and the windows and door come with five and ten year guarantees. 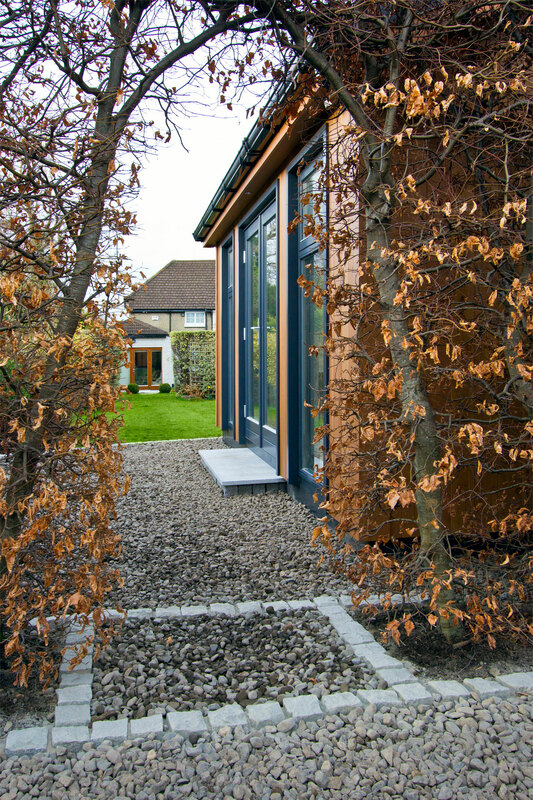 The external timber cladding has been engineered and treated in an autoclaving process. According to Shomera, the quality of the timber, and the fact that the wood is not in contact with the ground, ensures the structure will last decades. One of the major attractions of Shomera as a solution to space problems is that you don&apos;t need planning permission. This is a major stumbling block for many people that wish to extend their house for space reasons. "Most people don&apos;t need it, so it&apos;s not an obstacle. This is a real selling point for us," said Mr Copeland. Ireland&apos;s best answer to the confines of modern living has just launched a product aimed at alleviating commuting hassles for office workers. Shomera, the home office specialist, is expert in providing extra space within domestic settings, creating dedicated offices, studios, even just providing a little extra space in which the kids can play. It is again turning its attention to the home office market, giving thousands of people a real alternative to life in the rat race. Many people running their own business have traditionally worked from a spare room in the house, but more and more companies are turning their attention to the improvements possible in employee productivity if their employees worked at home. The Shomera Solo is the perfect solution for a company who has employees working from their homes, providing a dedicated work space so the company can be assured their employee is working in a safe environment. With adequate lighting and ample space for all the necessary office equipment, the Solo offers a comfortable work space. At the same time, since the Solo is separate from the house, the employee is free from the distractions of the home, and can benefit from the psychological separation of work from home. An additional concern for companies is the logistical responsibility of managing another office. But again, the Shomera Solo is a perfect solution. Shomera representatives will set up a leasing arrangement with the company, and will provide a complete home office in the garden of their employee&apos;s house. The Solo will come fully fitted with furniture and fully wired for electrics. It will be dropped into position in the employee&apos;s garden, and if the company ever needs to move it, Shomera can arrange for the Solo to be lifted and dropped to another location. This will take the logistical headache away from the company and means the employee has a safe, comfortable, dedicated working environment. Further, since the Shomera Solo has its own internal consumer unit, even the electricity can be measured for appropriate accounting purposes. The Shomera Solo is a new design, in keeping with attractive quality of Shomera products overall. The new Solo, with off-set apex and angled glass, brings architectural balance and proportion to a smaller size Shomera range. The interior walls of the Shomera Solo are finished with a wall panel system, which replaces the need for plastering and reduces the installation time. As with all Shomera products, the walls are fully insulated and the interior finish is to the highest standards. The timber used on the exterior of the Shomera Solo is Larch. This is a high quality timber with excellent weathering properties. By using a vertical tongue and groove profile, Larch will last for generations with minimal amount of maintenance, and, under the leasing arrangement, Shomera will maintain the exterior of the Solo. But the main advantage to installing a Solo unit is the price. The 8 ft x 8 ft Shomera Solo starts at 9,950 plus delivery, while the 8 ft x 10 ft Solo starts at 11,950 plus delivery. The price includes foundation, installation and VAT. Lease packages are also available for corporate customers. All this means the employee will be able to get more work done from the comfort of their Shomera while other commuters are waiting it out with an ever rising stress level. The Shomera Solo is a wise investment for any company with employees working from home. For further information on the Solo or any other product in the Solo range, contact Sean Copeland, general manager, Shomera, Unit 10 Dunshaughlin Business Park, County Meath. Tel 01 825 8288. If you are searching for shomera, shomera prices, sheomra, shoemra, shomera cabins, shomra, sheomera, shomera cost, shomera extensions, shomera homes, shomera buildings, shomera price list, shomera prices, then this page may be exactly what you are looking for. Kildare County Council referred a question to An Bord Pleanala as to whether a ‘Shomera’ structure in the rear garden of a house in Maynooth was exempted development. The ‘Shomera’ was being used as a hobby room and for storage. The Senior Inspector recommended that the structure was not exempted development referring to the excessive size and the use of the structure for additional habitable space to that of the main dwelling. The Board however ruled that the ‘Shomera’ structure was exempted development concluding, inter alia, that the size was within the 25sq.m limit and the use of the structre was incidental to the enjoyment of the dwelling house. The Board also found that the inclusion of a rooflight in the structure was de minimus. The main priority for any teleworker is a room of their own to work in, but what do you do when there isn&apos;t enough space in your house? 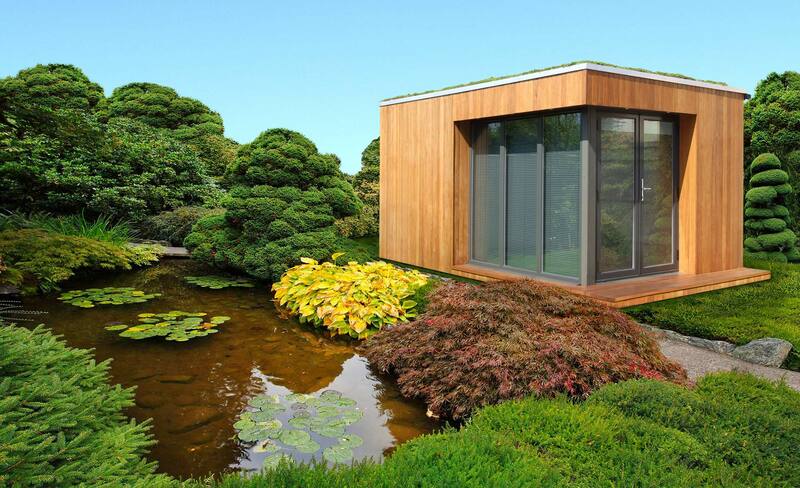 The solution may be to build your own office in your garden, reports Cian Molloy. Home working can help many people achieve a better work-life balance, by reducing commuting times and introducing greater flexibility in working, but sometimes people don&apos;t have the room available in their homes to have a dedicated home office. For other teleworkers, the arrival of children often means that their home office is no longer available because it&apos;s suddenly being used as a baby&apos;s bedroom. The most expensive solution is to move house - but that is an option that could cost you tens of thousands of euro and a great deal of hassle. 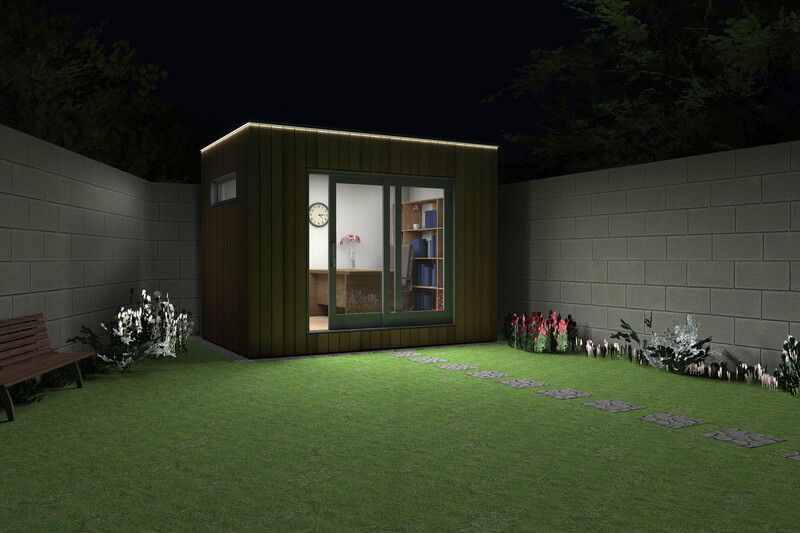 A simpler and less costly solution, if you have the space outside your house, is to build a home office in your garden. 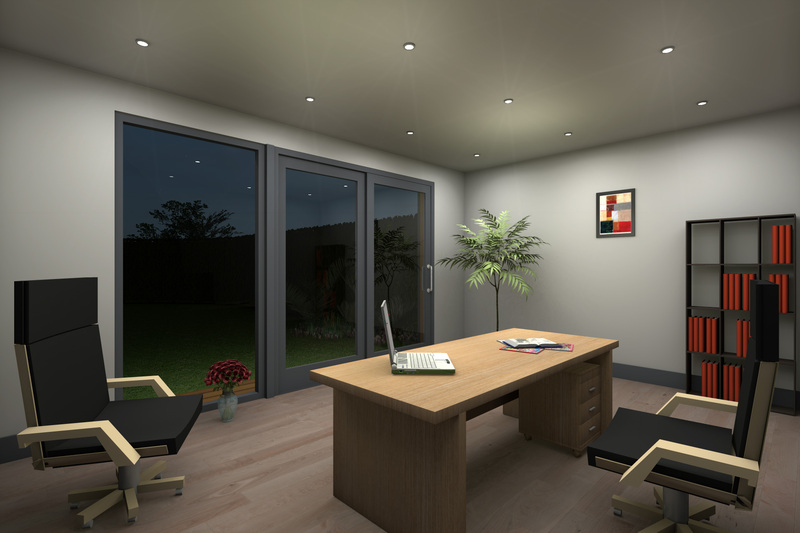 But even if you have space within your home, it&apos;s worth considering having a home office, for a number of reasons. Occupational psychologists, for example, reckon that there are definite advantages to personal productivity if your workspace is completely separate from your office environment. 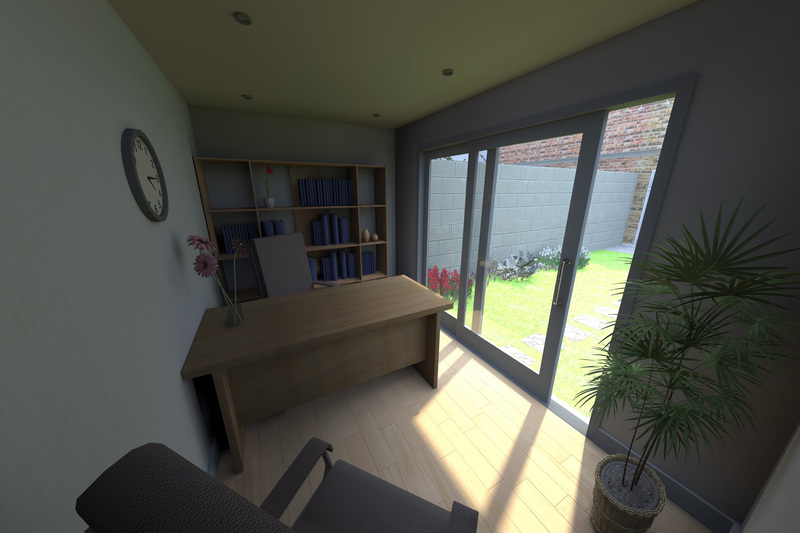 The very fact that you leave your home to work, albeit to travel only a few yards to your garden office, helps prepare you mentally for the tasks ahead of your for the day. For those with children in the home, having a garden office - rather than an office in the home - means that your less likely to be troubled by family interuptions. 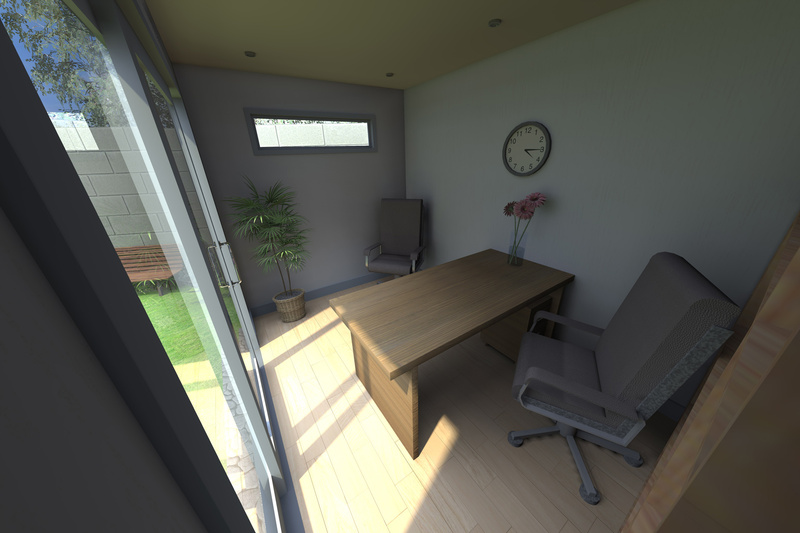 Alan Denbigh, MD of the Teleworking Association, says: "The advantages of a garden office are numerous: it gives you you real peace and quiet for those creative moments; you don&apos;t have to clear away your work stuff each day, all you have to do is lock up and walk away. 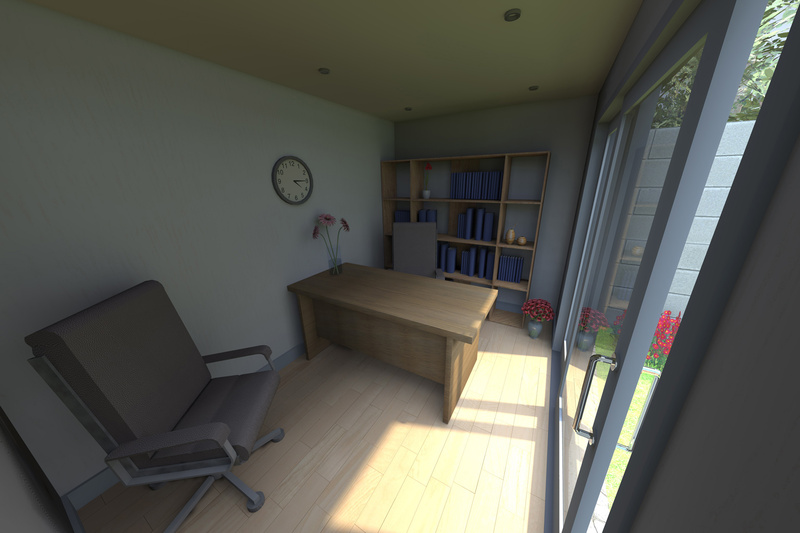 A home office, quite literally, helps compartmentalise your workspace." 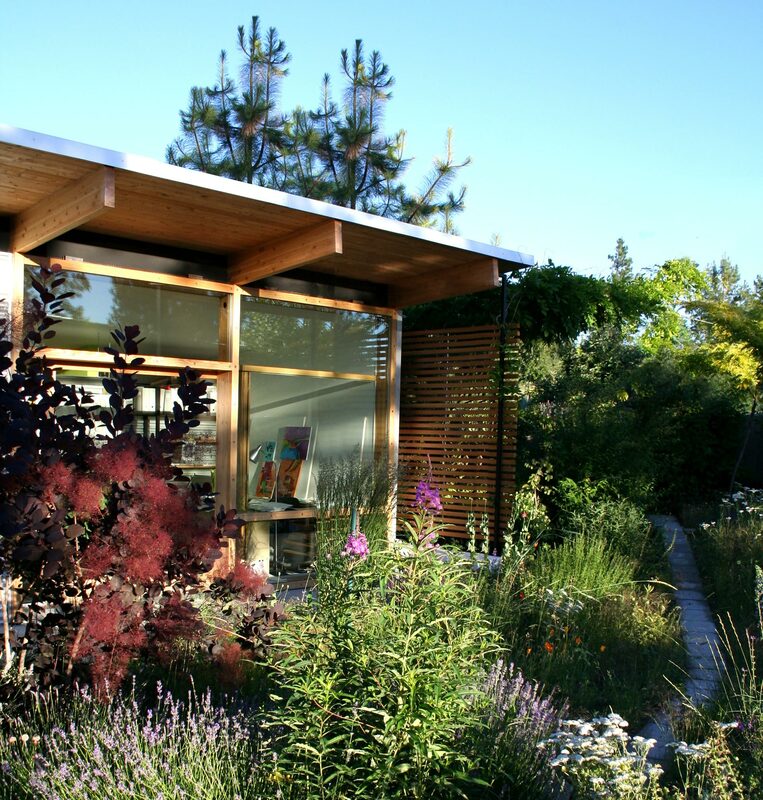 Under Irish planning law, most garden offices fall under the category &apos;exempt development&apos; and do not usually require any planning permission, providing basic requirements are met. "You don&apos;t usually need permission to build an outhouse on your property providing it is no more than 25 sq. meters in area and providing you leave at least 25 sq. 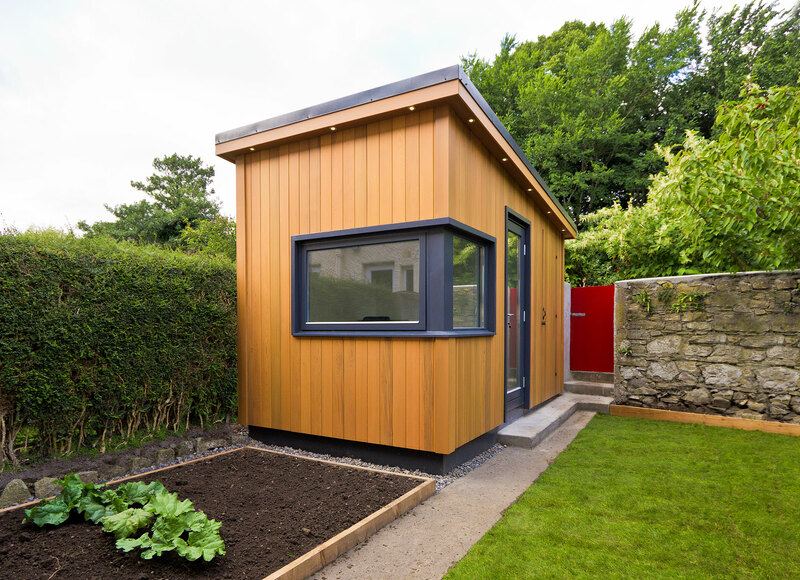 meters of free space in your garden, once the building is completed," says Seán Copeland, general manager of Shomera, an Irish company specialising in manufacturing and installing fully-completed home offices. "Most Irish gardens are big enough to take a Shomera without coming anywhere near the maximum size allowed. You could build a 12ft by 24 ft building, which would give you a very large room, and be well within the planning exemption." 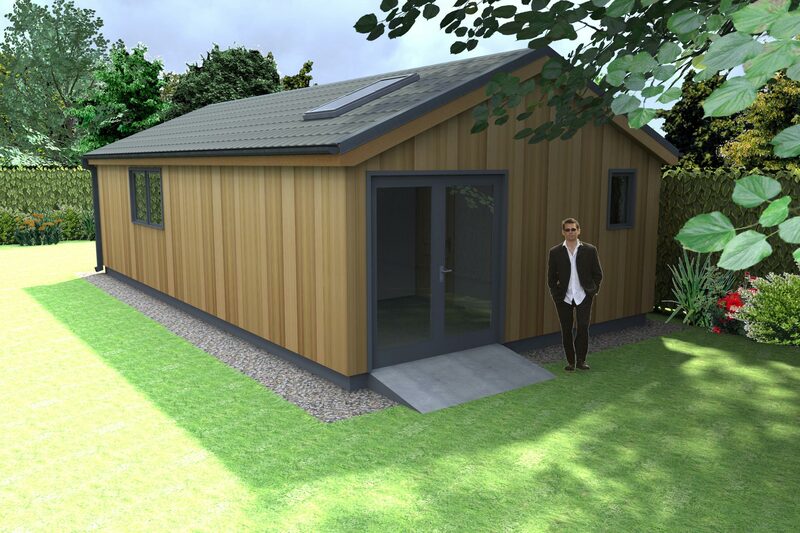 In certain cases, where a garden office is used for certain commercial activities other than general office work, planning permission for an outhouse will be required. 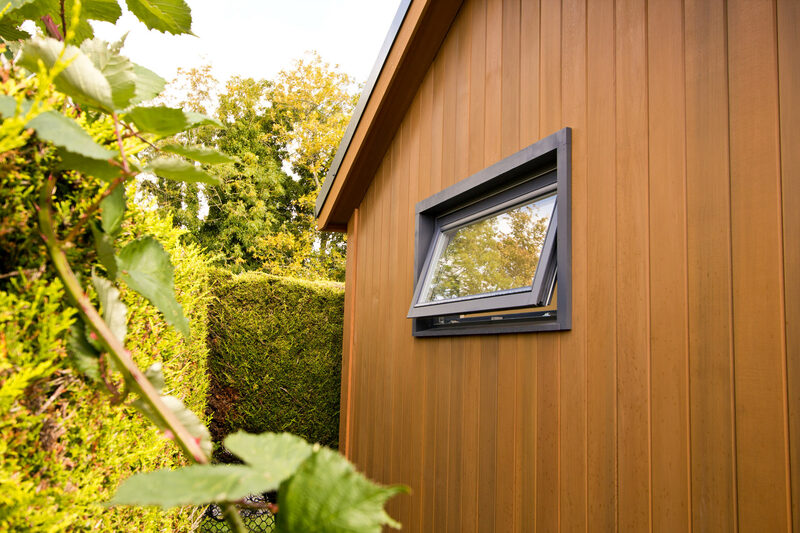 But garden office suppliers like Shomera or Gardenrooms will quickly advise you, free of charge and without obligation, on whether you need pre-approval from your local planning authority. In addition to general office workers, John Sheery of Gardenrooms says the people using his range of log cabins for work include: architects, accountants, consultants, graphic designers, reflexologists, hair stylists and crèches. Shomera have supplied some of their rooms to be used as classrooms and two of their buildings are used as commercial premises at hospitals in Cherry Orchard and St Mary&apos;s in the Phoenix Park. 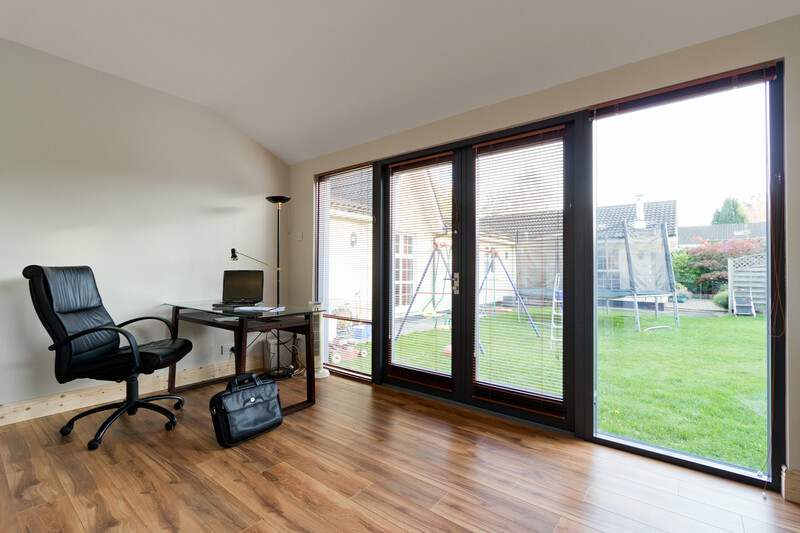 While building a home office is cheaper than the cost of moving home, the financial outlay required is reasonably high. 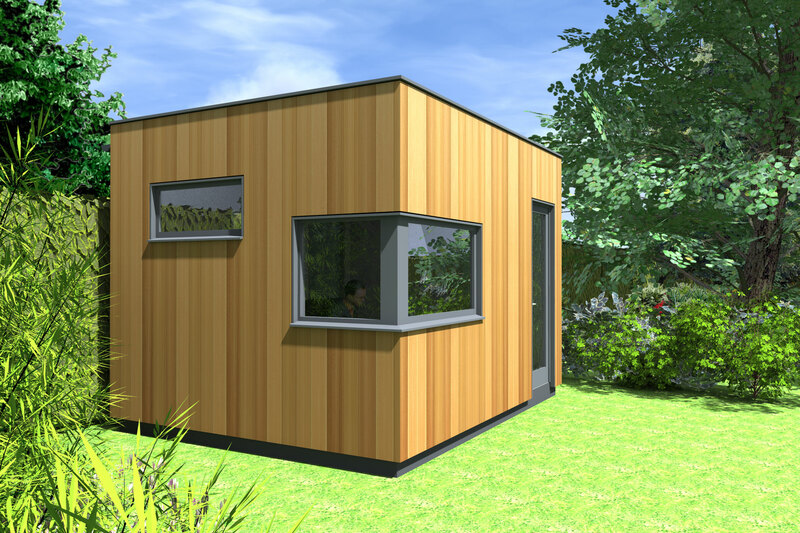 Looking at those companies providing fully-finished garden offices, the cheapest option we found was the &apos;Compact Office Standard&apos; from Henley Offices in the UK. Providing an interior space of 2m x 3.2m (6.56ft x 10.49ft), the Henley Compact costs St£5,375 plus an extra 20 per cent for delivery and installation in the Republic of Ireland, ie a total of €9,686.52, excluding VAT. 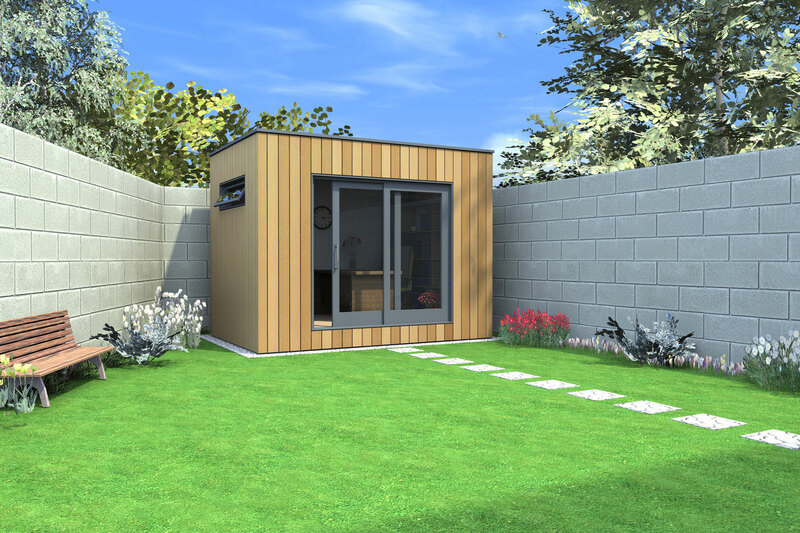 Among Irish suppliers, the smallest home office in Gardenrooms log cabin range is the 3.3m x 2.9m (10.82ft x 9.51ft), which is priced at €12,775, excluding VAT. Shomera have recently launched a new low-priced standard range where Prices in Shomera&apos;s new lower-priced standard range start at 2.74m x 4.87m (9ft x 16ft) rooms start at €14,950, excluding VAT. If you are paying VAT at source, it will add 13.5 per cent to your final cost - however, if you are a business registered for VAT, this additional cost is immediately reclaimable against tax. 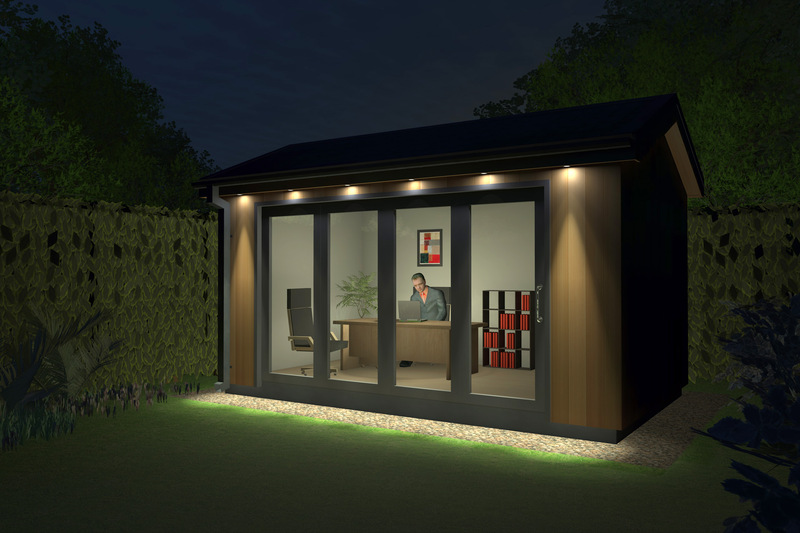 The capital cost of a garden office can also be written off against income tax over a six year period - but you should think carefully before doing this. If you are likely to move house within, say, the next 10 years, it may not be good policy to have the cost of your office included in your tax returns, because should you resell the property, and the overall value of the office has increased significantly, you will have a large capital gains liability. Before launching their less expensive range, Shomera reckoned that an investment of €17,000 in a garden office paid for itself within five years, in terms of the time and money saved on not having to commute. Once you go a little beyond the standard models available, there is a great deal of additional and bespoke features that you can add into the final design. "In our non-standard range, we are almost completely flexible on windows and doors, from where you want to place them to what type you want installed," says Copeland. 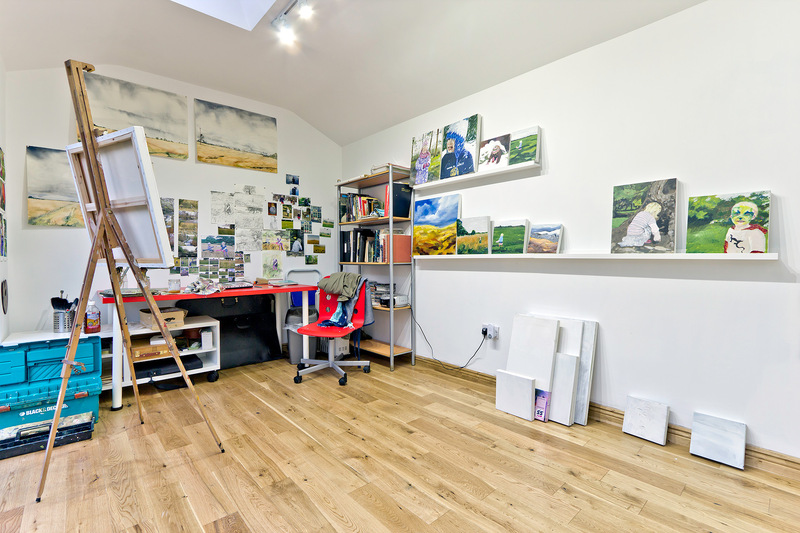 "When we started first the demand was totally for home offices, now I would say only about 75 per cent are for home office use and the rest would be bought for lifestyle reasons, ie people wanting space for a hobby or wishing to provide a den for teenagers. "More and more people are choosing to have toilets and showers fitted and its an option we recommend to people. You may be planning to use the Shomera as a home office only for the next 10 years, but having bathroom facilities gives you greater flexibility if you want to use it as a guest room in the future for example. If you can go that extra bit when having the Shomera installed, we recommend that you do so." By installing an office in his garden 3Com&apos;s country manager for Ireland, Ray O&apos;Connor, reckons he has boosted his own productivity and added value to his home. 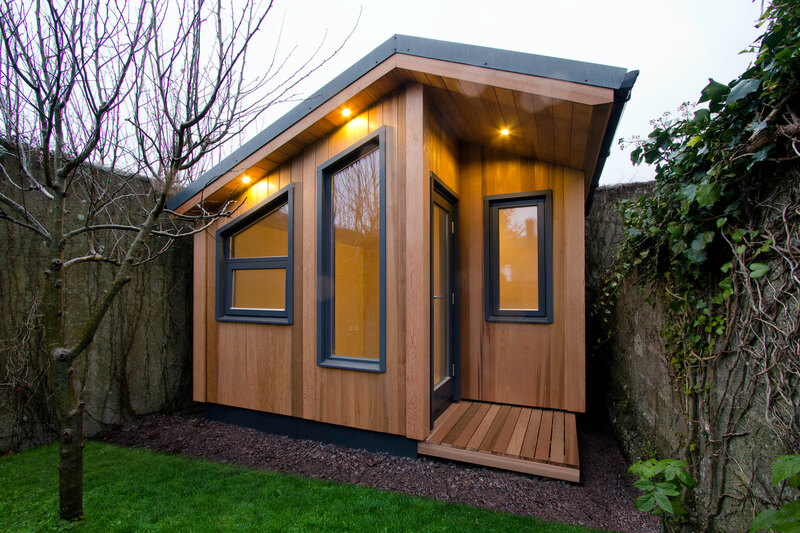 His decision to invest in a Shomera garden office was driven by the arrival of the first of his two children, when space previously available in his Rathfarnham home suddenly became unavailable for home office use. "It would have been very difficult for me to work from home with interuptions from the children," he says. "Now I am home and away from home at the same time." O&apos;Connor works from his home office on average two days a week. "Typically when I have to go to meetings I work from home rather than having to commute to the 3Com office in Blanchardstown," he says, "But even when I am based in Blanchardstown, I&apos;ll use the Shomera too. Travelling from Blanchardstown during the rush hour can take over an hour. But if I leave the office at 4pm, I can be home in ten minutes and do my final hours work from home. It really has boosted my productivity." 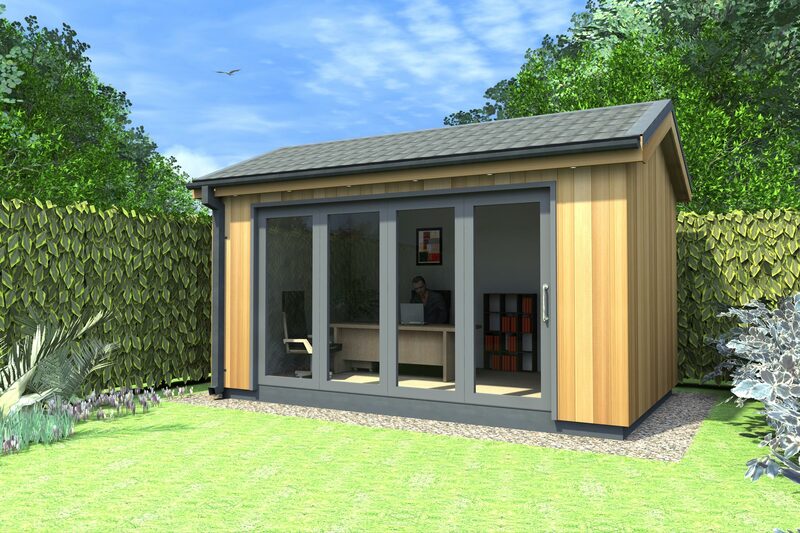 O&apos;Connor says that the garden office provides "a very pleasant working environment", even though the primary reason for choosing a Shomera was that it be fully functional. "It&apos;s a nice place to work, particularly in the summer when the birds are singing," he says. "Sometimes, I&apos;ll take a five minute break and walk around the garden and it really clears my head." From the point of view of comfort, O&apos;Connor says the built-in heating system is more than adequate for his needs during the Winter. "The Shomera heats up in minutes," he says. "Because of the timber construction, the level of insulation is very good. If anything, sometimes it gets too hot and I have to open the windows." Because the Shomera was installed at precisely the time when home-life was coming under increasing pressure, because of the arrival of his daughter Leah, it was essential that installing the Shomera was a painless experience. "It went very smoothly," he says. "On day one they lay the foundations, day two they built the shell and installed the electrics and on the third day it was ready to use. All I had to do was feed in the connection for the electricity and my broadband. "An estate agent has told us that the Shomera has added an extra €20,000 to the value of our home - which is much more than we paid for it. So all in all, its been a good investment." 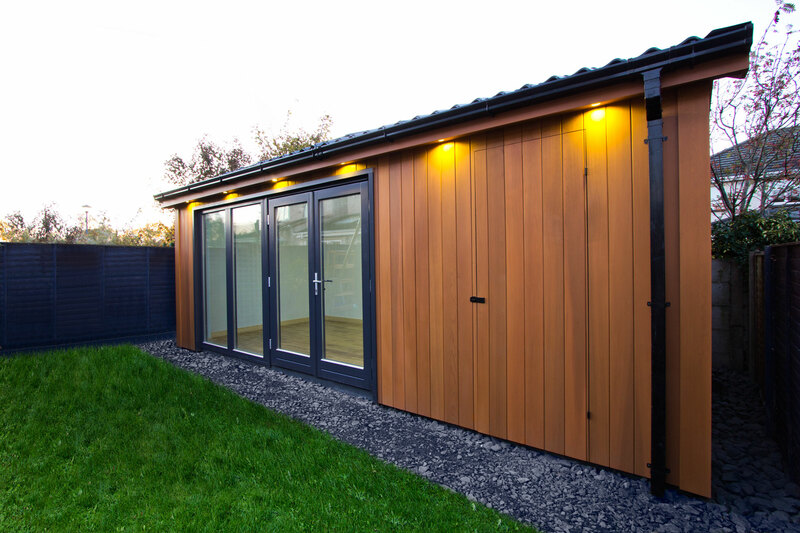 If you’re running out of living space at home but have extra space in the garden, a purpose-built garden room could be ideal. Yvonne Gordon talked to builders and two buyers of a garden room. 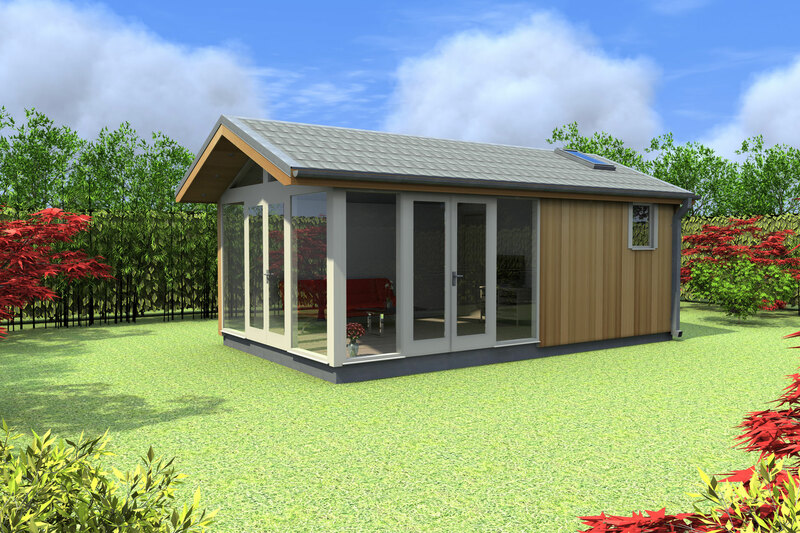 Garden rooms can be used as home-offices, children’s dens, study rooms, gyms – or even as an extra sitting room to relax in – and the custom-designed structures on the market are top quality, with heat, insulation, electricity and plumbing. 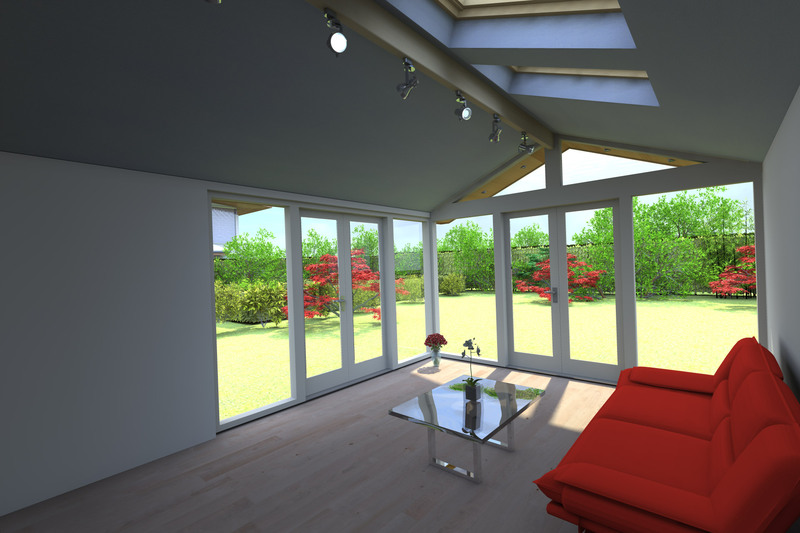 A garden room can also offer many advantages over building an extension or moving house. They are quick to install and have a fixed price. You don’t have the hassle of trying to find a builder, worrying about time and cost over-runs or the disruption of building work itself. You also don’t have to worry about house prices, stamp duty and packing up to move – and a garden room will even add value to your property. When Paul and Dervilla Casey realised that they were running out of room in their South County Dublin home for their teenage children and their friends to socialise in, they decided to get a Shomera for the garden. Shomera is one of a number of companies that custom-build garden rooms. The Caseys had very specific needs for their Shomera. Even though their suburban house is quite large, Dervilla felt that the way the house was designed – particularly the downstairs rooms – might not be suitable for their two children as they became teenagers. Their sixteen-year-old daughter and twelve-year-old son were reluctant to bring friends home as there ‘weren’t enough seats’. "We realised we wanted a purpose-built room to let teenagers crowd into. We have a room designed as a children’s den but it’s not suitable, for example for a pool table, and it’s not practical," says Dervilla. The Caseys had a big building job done on their house five years ago so there was no more scope to build on again. Dervilla was also reluctant to go through the hassle of an extension again. "We were out of the house six months," she says. "There’s no way I’d do that again." It wasn’t till the Shomera brochure arrived through the letterbox that the Caseys considered buying one. "I had thought Shomeras were makeshift, like garden sheds," says Dervilla. "When I saw the brochure I said they were quite nice." When the Caseys looked into Shomeras further they realised it might be the ideal solution for them. "What appealed to us was that you don’t have to get planning permission. We have a big long garden so we had loads of room down the bottom to put it in. We had enough space to accommodate it without eating into the garden," she says. The Caseys then visited the Shomera showroom in Co Meath and this was when they became really sold on the idea. "They have five or six variations in the showroom, fitted out for different purposes," says Dervilla. "It gives you a great idea what you could use it for. Some are set up as offices. We saw one decked out as a playroom and we liked the look of it. We could see the finished product in use and it was very useful." Another factor that appealed to the Caseys was that the Shomera was fixed price, "not like an extension, which can go up in cost", says Dervilla. "We had no planning hassle, neighbour problems or cost over-runs. You could see exactly what was included in the price. It was very manageable." The Caseys decided to put the Shomera in an area behind trees at the foot of the garden. It has a secluded feel and is not visible from the house. Once they had decided on a particular size of Shomera (5.4m x 6m), they asked for a further 60cm in length for storage for golf clubs and other overflow from the house. "It was great to get purpose-built storage for things you fall over indoors," says Dervilla. We visited the Caseys three days after the installation had started, and Dervilla was amazed at how quick and easy the process had been. "So far, the whole process has been painless," she says. "They were very efficient on the day. They phone when they say they will and paperwork arrives when you expect it. 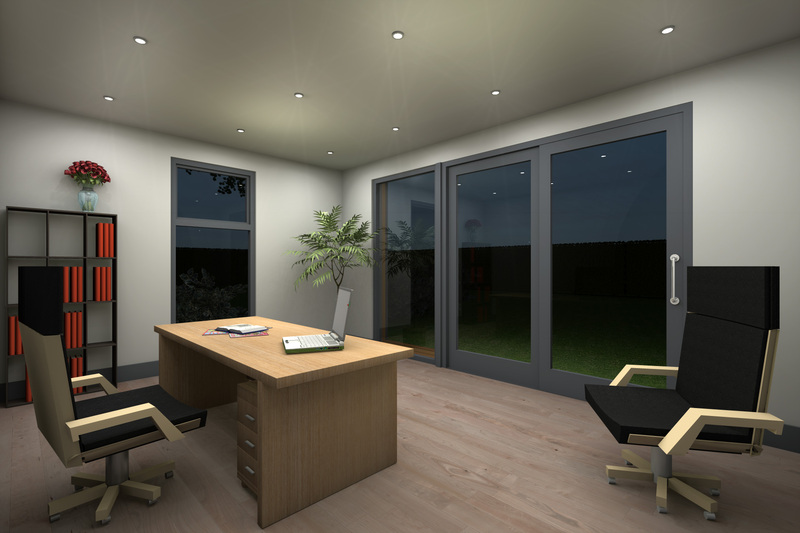 The paperwork is not laborious – we could clearly see where it would be positioned, where the doors and windows would be and the size and price. We ticked the boxes, signed it and faxed it back. Between thinking it’s good idea and having fully a functioning room, it’s a matter of weeks." "Shomera said they would be here on Monday and they arrived on Monday at 10am. Paul and I were flabbergasted at how quickly the thing went up," says Dervilla. "Two lads arrived the first day and put in foundations. There was a whole slew of them here yesterday – by end of day it looked like a structure, almost complete. By yesterday all that was left was the floor to go in and plastering to be done and that’s about it. I wouldn’t be surprised if it would all be done by this evening." All that’s left after Shomera installation is to paint the walls and put in cupboards. The Caseys plan to put a pool table in their Shomera and get seating that runs around the walls, to maximise space. " So far it’s been a very positive experience. It’s all really quick," she says. "We’re getting a deck put in at the bottom of the garden. We’ll get sunlight in the afternoon – I can see us down there using it as summer house. We were fortunate that we didn’t have to do any major landscaping and excavating to get it in there – it is dead space in the garden. It has improved the look of the garden already." To see how things progress a few months on, we then visited Marian Byrne in Stillorgan, Co Dublin, who had a Shomera installed earlier in the year. She’s delighted with her Shomera, which sits pride of place at the bottom of the garden, surrounded by some mature trees. Her Shomera is 3m x 4.8m, feeling even more spacious with three full-height glass windows, two glass doors, another window and a skylight. It’s so far away from the house, from roads and traffic, the only uninvited visitors are the birds hopping around outside. Marian is a life and business coach and she decided to get a Shomera as she needed office space and a space for her children to study. Some of Marian’s work is in-house with large companies, so it made no sense for her to rent an outside office. She also needed a space to meet private clients in. Her three children – fifteen, twelve and nine – needed somewhere quiet for homework and study. This garden room offered the advantages she needed. "It’s completely away from the house, so there are no distractions like sounds of the house and car alarms," says Marian. "I wanted something versatile where we could change the use. I also wanted something natural looking, simple, with lots of light. It cost about €20,000 and with building on, you would not get that space," she says. Marian Byrne was also amazed at the rapid installation schedule. The foundations started at 10am on the Monday, the pack was delivered in the afternoon and on Tuesday, three people put the structure up. On the Wednesday, two tradesmen did the plastering and skimming all day. This dried on Thursday and on Friday morning, the electrician came. Marian also decided to install an alarm as the Shomera is separate from the house. "It all took three and half days. They did the schedule they said they’d do, she says. "They were all very helpful and respectful. It was painless." Marian was very concerned about her landscaped garden. "I was concerned if it rained when they were installing, how it would affect the garden," she says. "They said they could put down planks. You wouldn’t notice any disruption to the garden – there was no muck. The garden was an important consideration." So what’s next if you decide to consider a garden building? The first step would be to visit the manufacturer’s display area, if they have one, because there’s nothing like seeing the real thing to get a good idea of size and the quality of the workmanship. If no show centre is available, you will have to rely on brochures and website pictures. However it should be possible to ask the manufacturer/installer to see a similar building that has been done for somebody else. Don’t be afraid to ask questions about the materials and work methods, delivery and payment. Ask the building suppliers for their suggestions in your own situation and compare notes between the different companies. If a consensus on what to do begins to emerge, you will feel a lot more confident. Also ask around with friends, work colleagues and neighbours to see if any of them have put up a garden room and to see how happy they are with the results, and go to see the job yourself if that is possible. There is no better recommendation than that of a happy customer. Marian Byrne says that since she got the Shomera, her friends have come to see it and arrived back again to show it to their husbands. "People think it’s far more substantial than they imagined," she says. "It could be an option for people getting money from SSIAs," she adds. In most cases, a garden room does not need planning permission because these buildings are classed in the exempted development category. However this depends on the size and use – you will need planning permission if you plan to use it as a public building, such as a crèche or classroom, a commercial office with staff or a habitable dwelling. Prices for Shomeras can range anywhere from €15,000 up to €50,000 with the smallest unit size about 2.4 m x 3m. 20 seconds away from the office! A lot of homes need more space and if you don’t want the expense and hassle of building or moving, adding a garden room could be just the solution. Yvonne Gordon assesses the possibilities. Once summer comes, many of us regard our garden as an extra room, for dining and entertaining outdoors. However if you’d like an extra room all year round – a sitting room, home-office, gym or playroom – what about putting it into the garden? 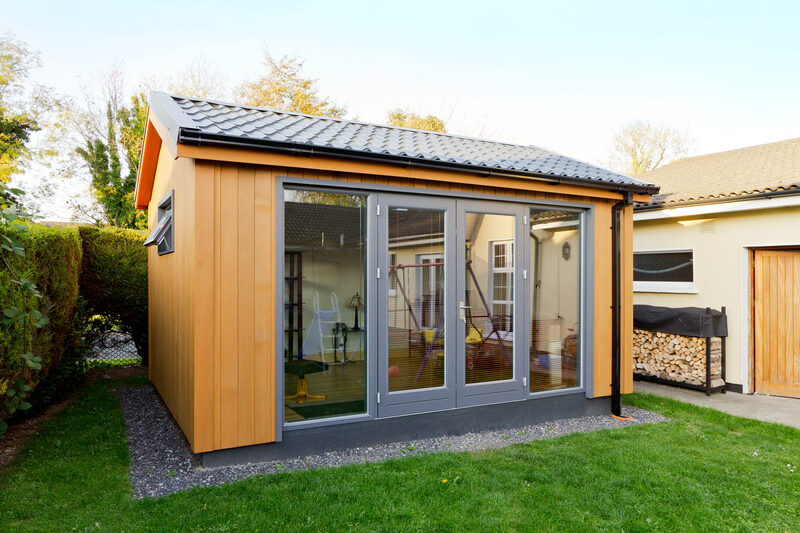 One of the benefits of garden rooms is that they allow you to add permanent extra living space to your home, without the disruption of moving house or building an extension. You can custom-design a structure which won’t take up too much space but which can have heat, electricity and plumbing, to be used whatever the season. There are plenty of garden rooms on offer on the Irish market, all cleverly designed to blend in well with the urban garden. You choose where to put the doors and windows, so you needn’t be overlooked and you can position the room to take advantage of views, light and sun. In addition, garden rooms are easy to install and shouldn’t disrupt a mature garden - another advantage over an extension. So how does it work? In planning terms, you can put a structure in your garden which measures up to 25 square metres, without planning permission, as long as it meets the exemption conditions. One condition is that it must be for a purpose ‘incidental to the enjoyment of the house’, so it cannot be for commercial or residential use. In most cases, planning permission will not be required, but suppliers will advise you and if you aren’t sure, check regulations with your local planning authority before going ahead. Then it’s a matter of deciding what type of garden room you’d like. 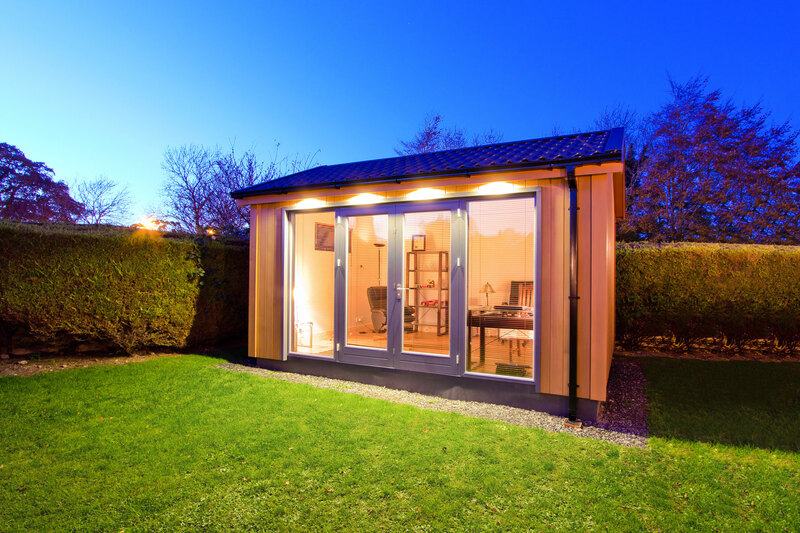 One of the best known suppliers of garden rooms in Ireland is Shomera, which has been around since 1998. The name comes from ‘seomra’, the Irish word for room, modified to include ‘home’ in the name. 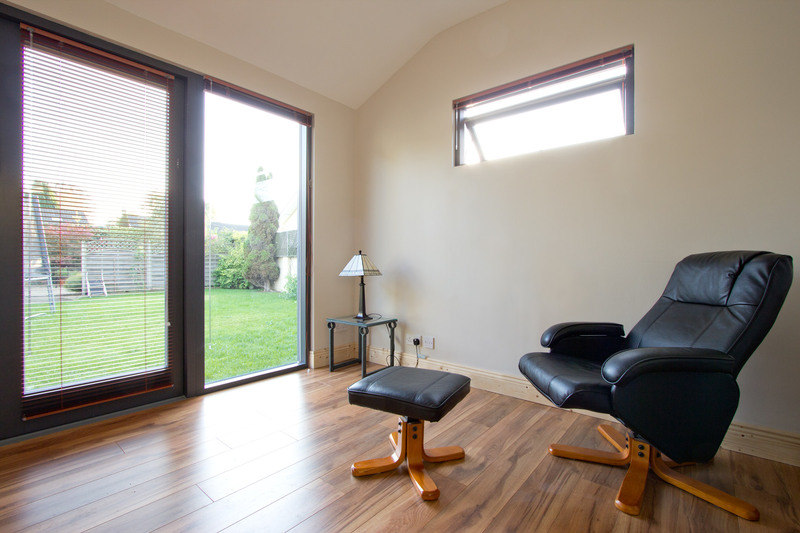 Shomeras are designed in Ireland so will withstand the extremes of Irish weather - each one is insulated, with double-glazed windows and doors. You can either buy a standard Shomera or design a customised one. Once you’ve placed your order, the unit is made in Ireland and is ready to deliver a few weeks later. Because most garden rooms are manufactured before they arrive at your property, they take just a few days to install and set up. Sean Copeland of Shomera says their policy is to be ‘in and out within two weeks’ – but they won’t need to be there every day of that. Because the Shomera is designed to be permanent and not portable, it needs a foundation. Shomera insist on putting this in themselves, as a proper foundation is necessary to protect from ground frost and moisture in the future and to keep it stable. Setting up the internal electrics - like sockets and phone points, is also part of the installation, however you’ll need to get an electrician to connect the electrics to the house. "Once Shomera is built, there are only three things left to do," says Sean. "Connect the electrics, provide a floor covering and paint the walls." Shomera can recommend an electrician or supply flooring. Another Irish company, Woodcraft Homes, designs and makes log buildings for home-offices and garden retreats. The logs used are solid, can be round or square, and come in varying thickness, imported from Poland and America. There are two designs, Terra, a traditional structure and Opus, a more contemporary design. Both have log walls, timber floors and ceilings and are fully insulated. Although the designs keep to a standard shape, each garden room is custom-designed to suit requirements and to get the best light in the room, says managing director Wayne Mundell. The first step in the process is for Woodcraft’s designers to meet clients and find out what they are thinking of doing. On a site visit, they mark out the exact site and ask the client to stand in it. Wayne says the main thing when designing a garden room is to really capture light and this can be done with a skylight. "In Ireland, because it’s so cloudy all the time, top light is healthier than reflected light from the walls," he says. "So a skylight gives a nice warm light on top of you - a healthy light." Woodcraft has noticed a new interest in the outdoors. "People’s environment at home is changing so much," says Wayne. "In the past five years, people have been getting more interested in the outdoors. You see more barbecues and garden furniture in shops. We keep changing with the garden environment." 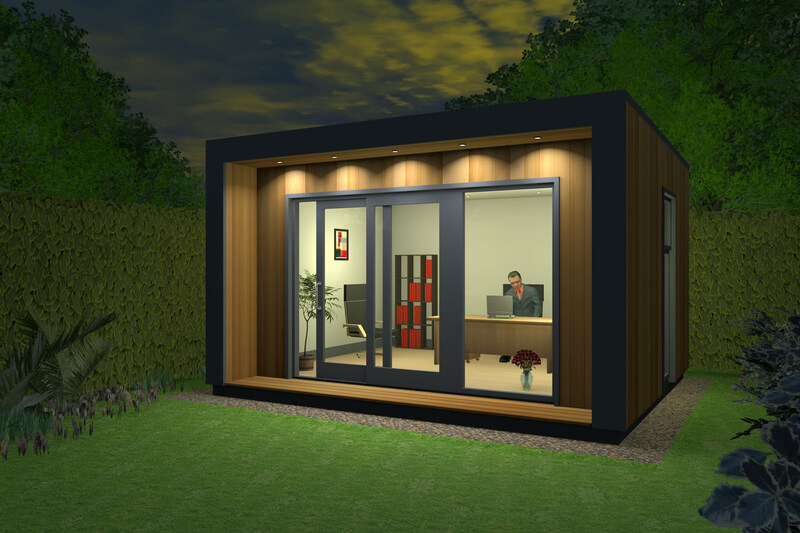 To meet these changes, Woodcraft will be bringing out a new home-office range this summer. 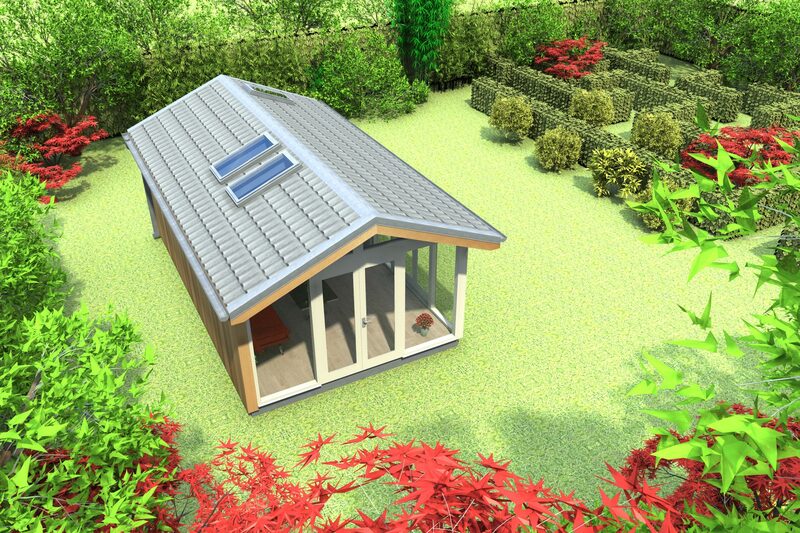 So could you live in a garden room? You could, the quality is there, but there would be planning problems, says Sean Copeland. Many people use them as home offices although this might also fall under a planning grey area (you might need planning permission). There are lots of benefits of having a home office in the garden – no commute to work and easy access to the house if you need it. If you’re already working from home, there’s the psychological advantage of being able to ‘leave the house’ to go to work. 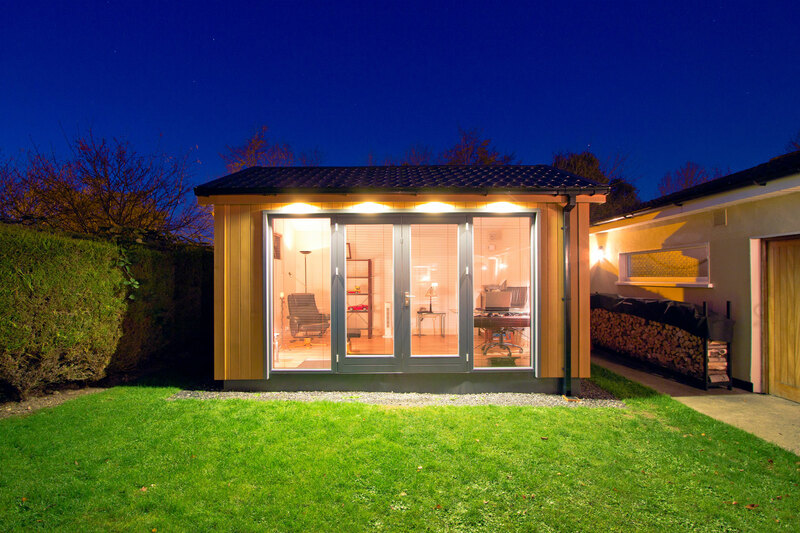 The trend for working from home is why John Sherry, of Gardenrooms.ie, set up business three years ago specialising in outdoor home offices, built with timber from re-planted forests across the Baltic region. They now do log cabin style garden rooms for everything from granny flats to extra bedrooms and therapy rooms. John says they now sell as many teen rooms as home offices. He says that customers come to him because they badly need another room. They might have already had the attic converted or their attic would not suit a conversion and they’ve ruled out moving house because of stamp duty costs. "Most people that work from home seem to take over the kitchen table," says John. "This is a way to give the family back their home." Do your research – find out what the different companies offer. How long the product will last depends on the quality of windows and doors, insulation and roof covering. Also, check what guarantees the company is offering. 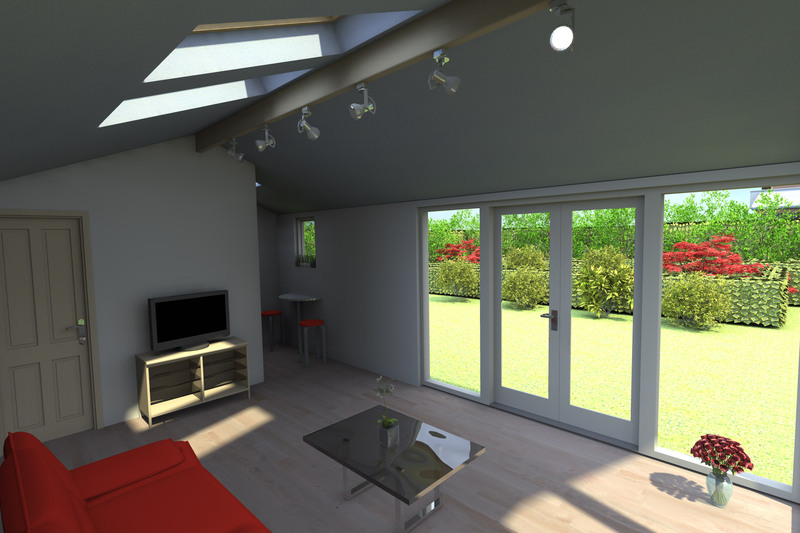 Planning permission – make sure your garden room meets the exemption conditions. If choosing a log cabin, make sure the company has expertise in the construction of log cabins. Remember the garden room should be the same quality and finish as any room in your home - don’t accept anything less. 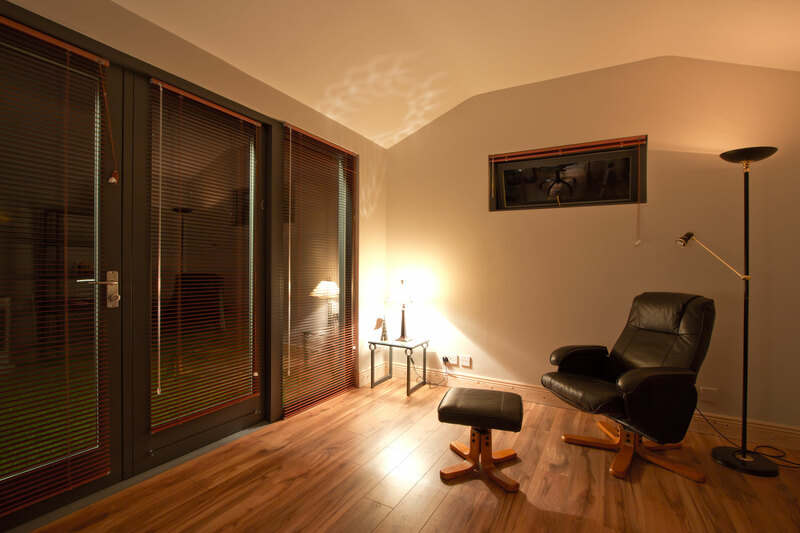 There are lots of benefits in having a garden room – but what about disadvantages? The garden room won’t be connected directly to the house, the disadvantage is that you have to go outdoors to get to it – a possible problem in bad weather. Another disadvantage is that they are designed to be permanent so cannot be moved (although some can - Woodcraft says their structures measuring up to about 12 foot by 20 foot can be moved). However, you might not want to move it as it may add value to a house. "We’ve had a lot of people over the last five years who’ve decided to move on and want to take it but we say ‘leave it in, include it in the value of the house’," says Mundell. "People always want an extra room." So permanency may not be a disadvantage after all. 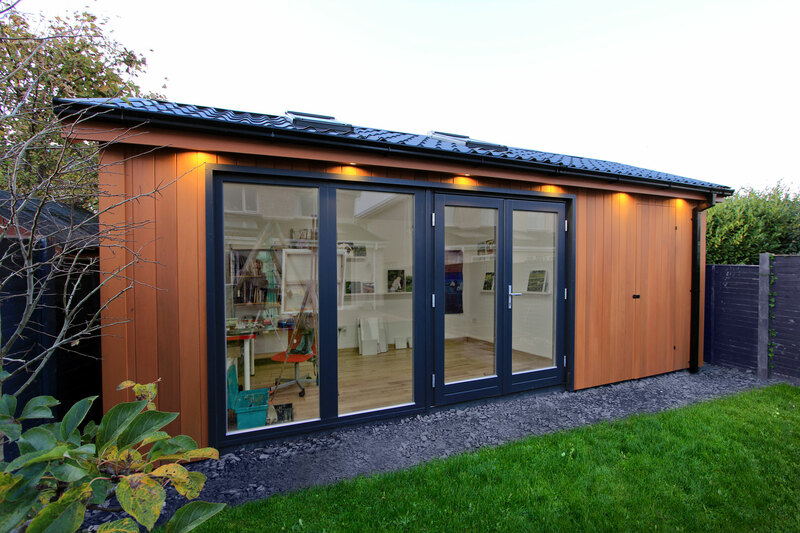 Finally, some garden rooms require maintenance such as re-varnishing. So how much will it cost? 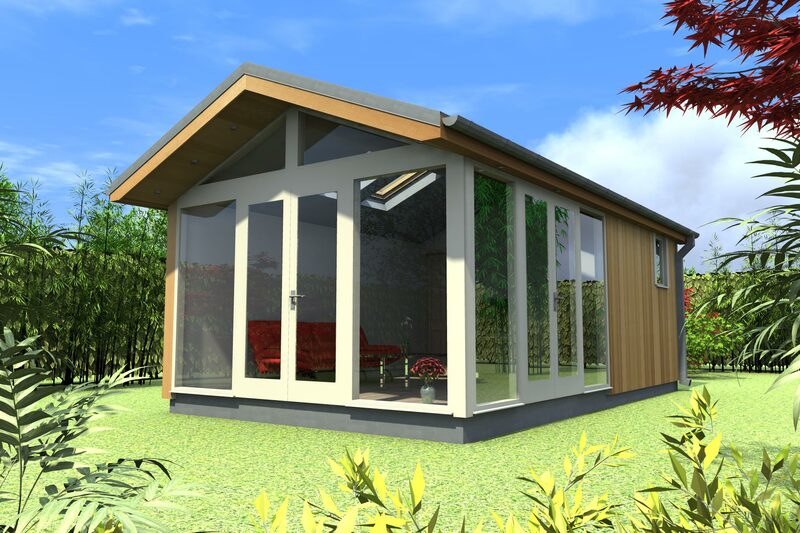 If you’re thinking of a garden room, it’s a good idea to look at some demonstration models. For example, Shomera’s show village in Dunshaughlin, Co Meath has six models on display. Woodcraft’s showroom at Kilcloon, Co Meath can be visited by appointment and the Gardenrooms.ie showroom is in Skerries, Co Dublin. Prices for Shomeras start at €9,950. This includes foundation, installation and VAT, but not delivery - although they do deliver nationwide. Sean Copeland says that the average spend on a Shomera is between €19,000 and €25,000 and you can spend up to about €45,000. For a Woodcraft home office or garden retreat, prices start at about €16,000 and Gardenrooms.ie prices start at about €12,000. Once you decide to go ahead, the next step is to get the company to come out and survey your site, to find out what you need and discuss design, size, location and planning exemptions. Most of the companies will do this visit for free. Once you have your new room installed, you might wonder how you ever lived without it. Moving to a new home can be a time-consuming and stressful experience. Between preparing your home for sale and deciding on where you are moving to, there are also many financial decisions to be made. Plus, you may have built up an emotional attachment to your current home after living in it for so long. But who says you have to move? If it&apos;s more space you&apos;re after, why not add on to your existing home and create more space? Here are two families who did. Tim Crooks and his wife Viv decided that their home in Celbridge, Co Kildare, wasn&apos;t big enough for their growing family but instead of building directly onto their home, they added a &apos;Shomera&apos;, which is a stand-alone extension. "The Shomera added on 22sqm (228sq ft) of living space to the house and the decking area that came with it added another 18.5sqm (200sq ft) of space," says Tim. "We needed as much space as possible, so we went for one of the largest style of Shomeras available." The couple were smart consumers and also rang several builders who specialised in extensions but, after assessing their options, they went with Shomera. "They seemed to be the most reliable. One company we rang, didn&apos;t actually follow-up on our call until 10 months later, so we know that we made the right choice. "The whole process took about two months from beginning to end. The actual building of the Shomera took two and a half weeks altogether, so there was minimum hassle involved." Tim and Viv have four young children and obviously needed plenty of extra space for them, but was enlarging their home their first option? "We did consider moving home, but we like the area we live in and moving the children out of school would have been a hassle as well." The family now uses the additional space for a variety of purposes and Tim is exceptionally happy with the end result. "In the Shomera, we have a playroom, a study and a gym, so it&apos;s used everyday." There are other, more traditional options. Marjorie and Sean Dunne had a three-bedroom bungalow in Enfield, Co Meath, but when their family started to grow, they decided that they needed to extend. "Our family was getting larger and the house wasn&apos;t big enough," says Majorie. "To be honest, we wanted to stay in the house as it was our home." Before the work started their home measured 140sqm (1,500sq ft), and when it was fully completed they had an extra 185sqm (2,000sq ft) to play with, almost doubling the size of their home. They added in a new kitchen, a study, three bedrooms and a new family bathroom. The work took six months to complete and the Dunnes used the opportunity to do some renovation work around the home as well. "The builders started work on the extension in July of last year and it was completed just in time for Christmas. We stayed in the house while the work was being done and there wasn&apos;t that much disruption until the end of the process. "The planning process did prove to be a bit slow and we did have to change some details on the plans, but they were minor changes and were easily fixed." The extension cost €300,000 altogether and they feel that it was money wellspent. "We would absolutely recommend getting an extension to anyone considering it. We have two small children and with a third due in May, we needed the extra room and now we have all the space we need." Shomeras can range in price from €20,000 to €55,000 depending on the size and style of the unit. There are a wide variety of interior designs and fittings that also vary in price. It can take up to four months to fully install a Shomera, but again, this is depending on the size of the structure. The cost and time it takes to build an extension varies greatly depending on the size you require. The extension that the Dunnes got was 185sqm (2,000 sq ft), cost €300,000 and took six months to build. However, different builders will offer you different quotes, so it is important to shop around to get the best value for money. If planning permission is required for the extension, it will cost you a minimum of €136 for the application alone. There will also be marketing fees involved that cover the cost of posting the property on the internet, and for whatever signposts and brochures are needed. This will cost you at least €185. Some agents will incorporate the marketing fee into the commission, but again it depends on the particular agent with whom you are dealing. If Tim and Viv had decided to move to a four-bedroom home and stay in Celbridge, the average home would have worked out at €410,000. Adding stamp duty on this amount, they would have had to pay a total of €429,950 before agent&apos;s fees. For a four-bedroom home in Enfield, which averages at €395,000, the Dunnes would have to pay an additional €18,900 in stamp duty, bringing the price up to €413,900. Shomera, the Irish specialists in additional living spaces, has opened a new display area in Malahide. The Shomera Village shares space within the Gardenworks garden centre in Malahide and is the second satellite display area in Dublin. Each Shomera Village showcases a range of comptemporary new designs the company has developed. "We are very excited about the new area in Malahide. Even with the recent down-turn in the economy, there is a growing demand for our products as more people are working from home,&apos; said Frank O&apos;Sullivan, Managing Director of Shomera. NOW THAT THE property market has had its foundations rocked, it has become local lore that instead of trading up, people are more inclined to rethink their homes to get more out of them. That was the case with Sonali and Pat Bourne who, with their two daughters and their dog, Logan, were beginning to outgrow their rather dark house in Glasnevin. So the couple scoured the internet and came across designs by Odos Architects and liked its contemporary style. “We were bowled over by the stuff they did but thought that maybe it was top of the range,” says Sonali. They decided to consult the architects in the hope that they may have a solution, and that was when Dave O’Shea of Odos suggested that they might like to try the NowHouse model. NowHouse began in 2009 when Odos teamed up with construction company Shomera to offer clients more affordable, design-led extensions. But, as much as the cost appealed, it was the speed of construction that swung it for the Bournes: the build was going to take all of eight weeks. NowHouse extensions typically cost between €1,400 and €1,575 a sq m for new-build work, depending on materials used, and around €600 to €700 for remedial works. Prices for a standard extension vary widely, but range from around €1,000 to €3,000 a sq m.
“It would cost the same as if a contractor and his crew came and built a traditional bricks-and-mortar extension,” says Pat. “But we were driven by the time factor.” The family decided to wait until the beginning of the school holidays and they left their home in the hands of the builders, spending three of the weeks in west Cork. There was a team of two to three builders on site for most of the construction. “It was really quick, really clean, there was no big machinery and the panels were designed to fit through the front door, so there was little disruption to the neighbours.” The result is a 40sq m glassy extension that has a kitchen and dining area just beyond the main house and then a thinner section that allows a courtyard on either side. The doors open so that the interior and exterior become one. Plus there’s a covered seating area at the back of the rear garden, with built-in storage. But now – sitting at her generous wooden table by Mango Crafts in Kenmare, that necessitated the architects having to change the plans to fit it – she says, “I’m very glad we went for a modern look and I love the glass. The light here has made a huge difference.” Pat adds that if they had had a traditional box extension then the kitchen “would be pitch dark”. Now the television is in the front room, along with a fire, for a cosy retreat and a place the teens can bring their friends to. Now that the kitchen (made by In-House) is no longer separate from the main living space, everyone tends to gather here, with cooking, eating, chatting and homework all happening in the one area. It has even changed the family’s body clocks and energy levels. “We were not morning people before,” says Sonali. “If it was a dark day the house would be very dark, but now, as we are having breakfast, when the light comes up people sit up straight and start chatting, you can watch the mood change. You don’t get much light in Ireland but here there is so much more than I imagined it could be. We never, ever feel closed in.” The couple did once briefly discuss the option of curtains or blinds, but decided against them.